On July 21st, the Hon. Chrystia Freeland, Minister of Foreign Affairs, released the following statement in regards to the deterioration of human rights in Turkey. 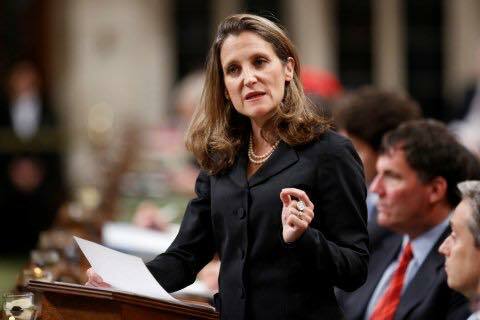 The Canadian Armenian Political Affairs Committee of AGBU welcomes the principled stance by Minister Freeland in condemning the human rights violations by the Turkish Government. AGBU has taken every opportunity to remind Canadian officials of the grave situation taking place in Turkey. “Freedom of expression and a free and vibrant civil society are foundational for any democracy. “As a former journalist and as minister of foreign affairs, I am seriously concerned about the current detention in Turkey of democratically elected officials, journalists, academics and human rights defenders—including the head of Amnesty International in Turkey and other prominent leaders—as well as the closing of media outlets and shutting down of NGOs. “No one should ever be threatened or face violence for expressing ideas and opinions.